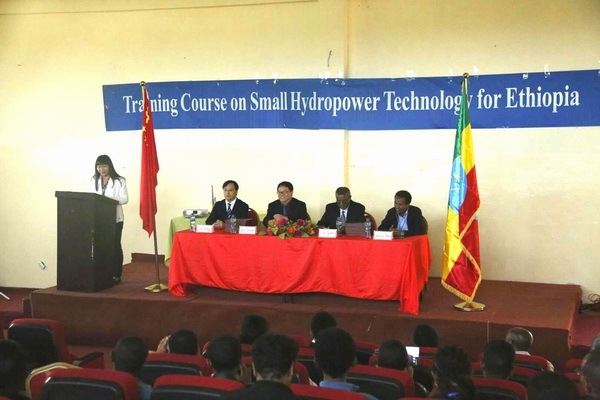 ---On August 10th the closing ceremony of "2018 Training Course on Small Hydropower Technology for Ethiopia" was held at the International Convention Center of Addis Ababa Science and Technology University in Ethiopia. This training course is the 102nd one implemented by HRC. A total of 50 administrative staffs and technicians of hydropower and renewable energy departments from Ethiopian Ministry of Water, Irrigation and Electricity, Ministry of Science and Technology, Ethiopian Energy Authority, Science & Technology Information Center, Addis Ababa Science and Technology University, Ethiopian Biotechnology Institute, Ethiopia Electric Power and Ethiopia Electric Utility attended the training. The training content includes not only rich and practical experience on SHP development and rural electrification construction, as well as proven technology and advanced equipment, but also covers water management, dam safety, river conservancy and other related fields. Site visits were arranged to Ethiopian first hydropower station which was innovated with the grant from Chinese government and a wind farm invested by Chinese company etc.. 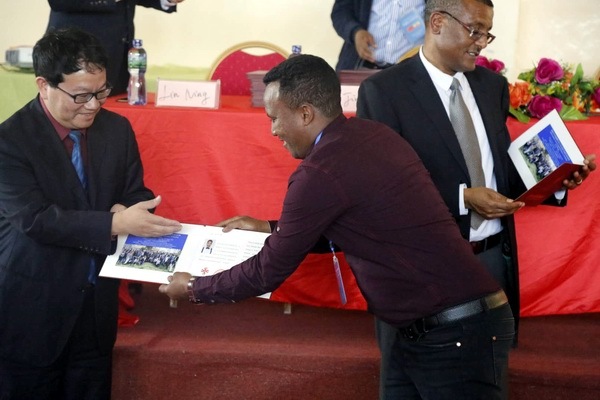 Under the great support of Department of Foreign Aid of the Ministry of Commerce of China, the Economic and Commercial Counselor's Office of Chinese Embassy to Ethiopia, Ministry of Water, Irrigation and Electricity of Ethiopia and Ministry of Science and Technology of Ethiopia, this training has scored fruitful achievements. The participants benefited a lot from the sharing of Chinese technology and experience, and look forward to more effective cooperation with Chinese counterparts in the field of small hydropower and other renewable energy.